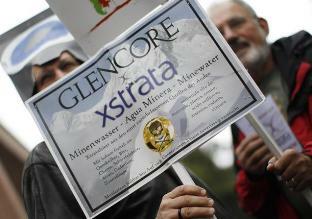 Glencore’s $32 bln Xstrata offer will probably succeed now lead shareholder Qatar is backing it. A $220 mln retention plan for top staff may fail. But paying up to keep talent, while unpalatable, makes sense. The enlarged company will struggle to hold on to the savings. Glencore’s $32 billion takeover of Xstrata, one of the world’s biggest mining companies, looked set to go ahead after the deal won the backing of Qatar’s sovereign wealth fund, Xstrata’s second-biggest shareholder. Qatar Holding, which owns just under 12 percent of Xstrata, said it would vote for two key resolutions on the takeover at a shareholder meeting next week. However, it said it would abstain from voting on a $220 million pay deal designed to encourage top Xstrata staff to stay on after the deal completes.